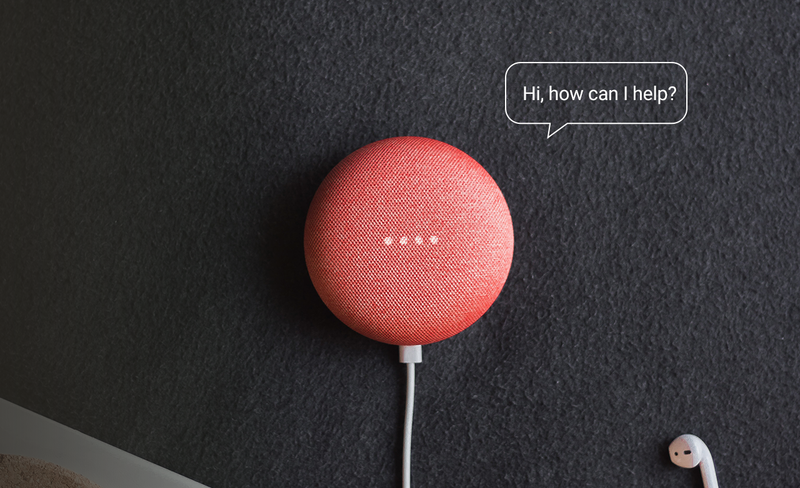 Based on the current dominating trend of smart home devices such as Google Home and Amazon Echo, or virtual assistants such as Apple's Siri, it seems almost certain that voice interaction is here to stay. In fact, it is believed that by 2030, 30% of searches will be done without a keyboard or screen within a home and personal context (Gartner,2017). But is voice interaction ready for the prime time? Or more importantly, are we ready for voice interaction? According to Nielsen Norman, “voice interaction or interfaces can be any devices which include screens but employ voice as the primary input method to point the way towards a more integrated and useful holistic user experience”. Currently, voice interaction is mostly contained within the realm of personal and home use, but it is assumed that the ease and familiarity of using our voice to control and command things will herald a new era in which voice interfaces become the norm - but will it? Voice Assistants: Essential Tech, or Novelty Junk? Ask yourself this if you have a smart home voice-controlled gadget, how much have you used it after the first initial week of getting it? When I first got my Google Home, I kept asking it to help me turn on the lights or to tell me a joke, but now I've found myself resorting to turning on the TV myself and looking at my phone for the time or to check the weather reports. Through my own personal experience of using this smart voice interface I have found several flaws related to the on-boarding experience that make it not so 'smart', and at times in fact, downright frustrating! We'll take a look at some of these frustrations and how we can mitigate or prevent these issues from happening during on-boarding. An important element that seems to have been missed in the design of voice-only interactions is that although speaking is something seen to be 'easy' and 'intuitive' for us to do, speaking to a voice interface is still a very new concept and experience for us. As Nielsen Norman says, "voice interaction between people and personal devices represents a new and fundamentally different type of communication — analogous to a foreign language for both users and designers”. Having owned a Google Home for half a year, I still struggle to remember the different types of commands my Google Home can act on. On a device with a visual interface, e.g. computer or iPad, this is less of a problem because I can see it there on the screen. But with voice interfaces, the visual discovery of features is simply not available. Instead, I have to rely on physically Googling the different voice commands I can use with my Google Home. One way in which this can be improved is by redesigning the on-boarding experience for these voice interfaces. This can be achieved by introducing the user to command examples and providing an opportunity to test this out and practice using those commands. Just like a foreign language, the adoption and learning of how to use voice interfaces can only be improved if the user has the opportunity to practice it and be immersed in it. At the moment, the current experience for Google Home is fairly basic: you are given a short three to five minute introduction and are then walked through how to set up the device. After that, you are guided to learn more about the Google home assistant via the Google home app on your mobile device! To assist the user in being accustomed to using and conversing with the voice interface the on-boarding experience should be continued after several days of the initial set up period. By allowing repeated practice scenarios the user can slowly learn how to use the voice interface and retain this information over time. 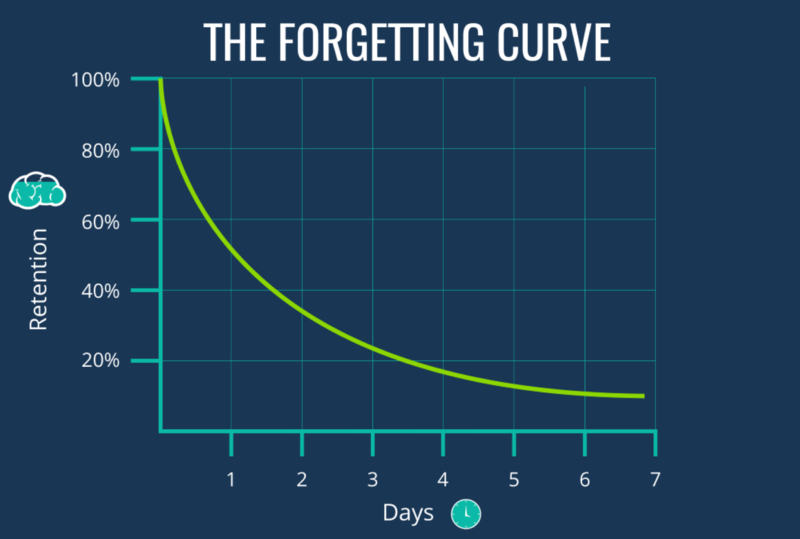 This is in-line with the Ebbinghaus Forgetting Curve hypothesis (1885) which describes the brains ability to retain memory over time. Ebbinghaus drew the conclusion that memory loss is exponential as memory loss is huge after the first few days of learning. However, this can be slowed down by repetition of the learned information in the follow days, so that the more days the information is repeated the slower the decrease in memory retention. Given this, it would be important to build in 'practice' sessions or repetition scenarios in the voice interfaces to help users retain and remember the different types of commands they can use for the voice interface. Another key thing I found whilst using voice-only interfaces was that my experience fell short due to the lack of information about different setting options and default settings, and as a result of this I was unaware that my Google Home could provide a real-time responsive audio cue. This meant that sometimes when I was further away from the speaker or preoccupied with doing something else where I couldn't look at the Google Home, I had to wait and see whether it carried out my command, making the interactions more of a guessing game: Will it do what I asked? Or will I need to repeat myself louder the next time? Because of this, a lot of the time I ended up pulling myself away from what I was doing in order to look at it whilst speaking - just to confirm whether it was even paying attention to my words or not! However, I was made aware by my colleague that there was indeed a feature that addressed this issue! All I had to do was enable audible feedback. But after doing some research, I found that this feature is buried pretty deep in the Google Home settings via the mobile app. If my colleague did not tell me about this feature I would have never been able to find it. It was a big surprise to me that these setting options and default settings were not touched on during the on-boarding experience. As such, another way to improve the user’s experience is to clearly introduce users to these settings and options during the on-boarding experience to educate them on how to use their Google Home to its full potential. A quote that I find particularly applicable in this case is that the goal of on-boarding is not 'to get the user set up' but it is actually to 'convert users to power users'. Given that the voice interface lacks a direct visual interface users may not think of exploring its settings via the app on their mobile device. As such, it will be important to interactively introduce users to these setting features one by one during on-boarding to prompt them to explore and play with it. Also, given that there are potentially default settings that may have a dramatic impact on the user’s experience whilst using the voice interface it will be important to explicitly introduce this as well so that users are aware of it. However, keep in mind that when creating these on-boarding experiences the creation of customer journeys will need to be mapped carefully to ensure that the user’s needs and key frustrations are addressed. It will be ideal to create and map out key moments such as 'changing settings for the first time', or 'understanding the default settings', and how these journeys flow on from one another. Since there is already an extensive list of commands with new ones being added continuously, it would be good if users are actually made aware of when and what these updates are. How this might be addressed is by prompting the user firstly via a mobile app notification, to then walk through this new feature when they’re near their smart voice interface so that they can follow the voice tutorial with a visual interface. This is in-line with a study conducted by Eriksson at Umea University in Sweden where they looked at the difference in teaching methods for users to learn how to use smart voice interface commands and features. 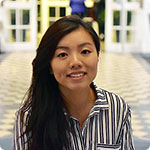 Although they found that there was no difference in user’s remembrance of learnt features between voice vs. voice + visual teaching methods, users self-reported that they preferred having a multi-modal interaction where a voice tutorial via the smart voice interface was combined with a visual tutorial via the mobile app. In this case, a combination of both voice and visual tutorial interactions will be best suited to teaching users about when these new features are added in and how they can be used. Continued developments and advancements in technology will fuel the growth of voice interfaces. This provides an exciting time for us all as we witness the growth and refinement of this technology, bringing with it huge impacts on the way we all live. 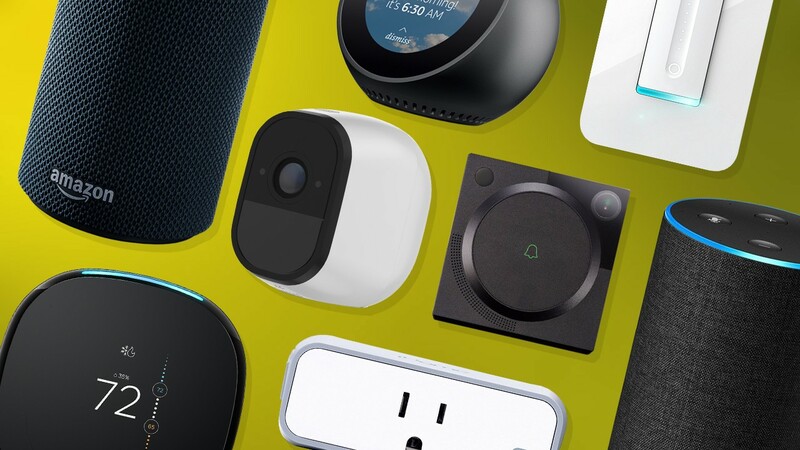 However, we must keep in mind the current challenges and strive to design for these pain points and create better voice interface experiences if we want to ensure these smart devices are here to stay. Do you want to optimise your On-Boarding Experience? Our team of Psychologists and User Experience experts can help you improve your app or website user on-boarding process, whether voice controlled or through traditional screen-based interactions, resulting in increased adoption rates, greater customer retention and an improved overall customer experience.